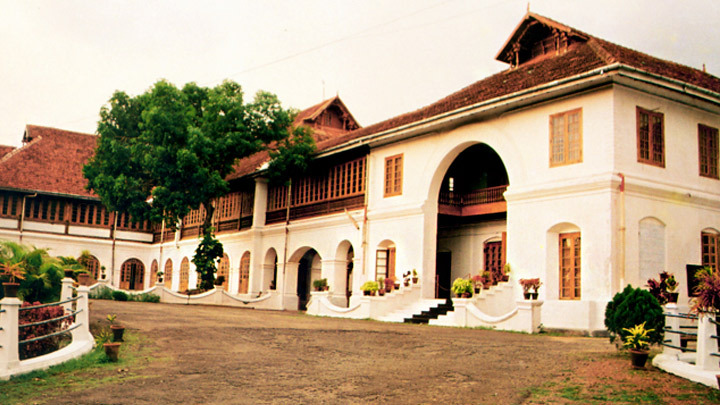 The Hill Palace, Kerala’s first heritage museum noted for royal collections of the erstwhile Maharaja of Kochi, is today the largest archaeological museum in Kerala. Built in 1865, the palace complex consists of 49 buildings in the trational architectural style of Kerala, sprawled over 52 acres of beautifully landscaped terraced land which houses a deer park and facilities for horse riding. Numerous species of flora including rare medicinal plants grow here. On display in the full-fledged Ethno-archaeological museum are oil-paintings, murals, sculptures in stone and manuscripts, inscriptions, coins, belongings of the Kochi royal family and royal furniture including the simhasana (throne). Also exhibited are over 200 antique pieces of pottery and ceramic vases from Japan and China,Kudakkallu (tomb stone), Thoppikkallu (hood stone), menhirs, granite, laterite memorials, rock-cut weapons from the Stone Age, wooden temple models, plaster cast models of objects from Mohenjodaro and Harappa of the Indus Valley Civilisation. The museum also houses a gallery of contemporary art. Visiting hours: 9.00 to 12.30 hrs &14.00 to 16.30 hrs on all days except Mondays.